A release from the institute reports that the scientists say that the strength of a person's grasp may be one of the most useful ways to measure someone’s true age. IIASA researchers Serguei Scherbov and Warren Sanderson (also at Stony Brook University in New York) show that hand grip corresponds to other markers of aging such as people's future mortality, disability, cognitive decline, and ability to recover from hospital stays. For their new research, Sanderson and Scherbov reviewed findings from over 50 published studies that focus on people of all ages around the world. Since the measure is already commonly used, data are readily available. 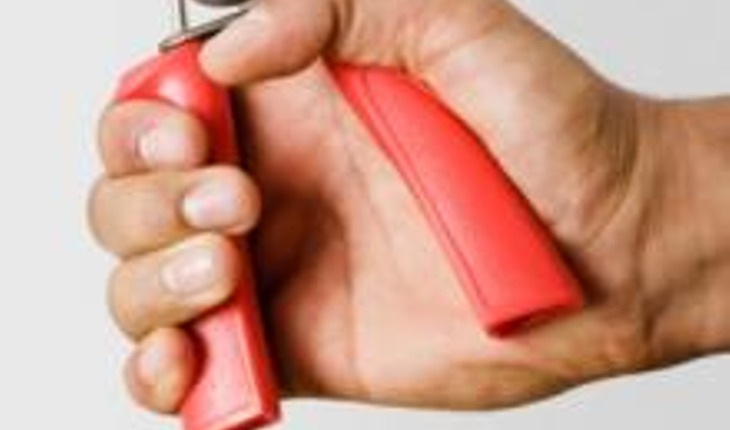 "Hand-grip strength is easily measured and data on hand-grip strength now can be found in many of the most important surveys on aging worldwide," says Sanderson. The study also demonstrates how such a test could be used as a measure for aging to compare different population groups. The study used data from one such survey, the United States Health and Retirement Survey (HRS), to show how this could be done. The release quotes Scherbov as saying, "We found that based on this survey, a 65-year-old white woman who had not completed secondary education has the same handgrip strength as a 69-year-old white women who had completed secondary education. This suggests that according to a handgrip strength characteristic their ages are equivalent and the 65 year-old women ages 4 years faster due to lower education attainment." In a growing body of research funded in part by a new grant from the European Research Council (ERC), Scherbov and Sanderson have begun to define new measures of aging based on people's characteristics, such as their longevity, health, disability status, and other important demographic factors.